Mother’s Day is right around the corner! It’s May 9, so it’s time to start planning! 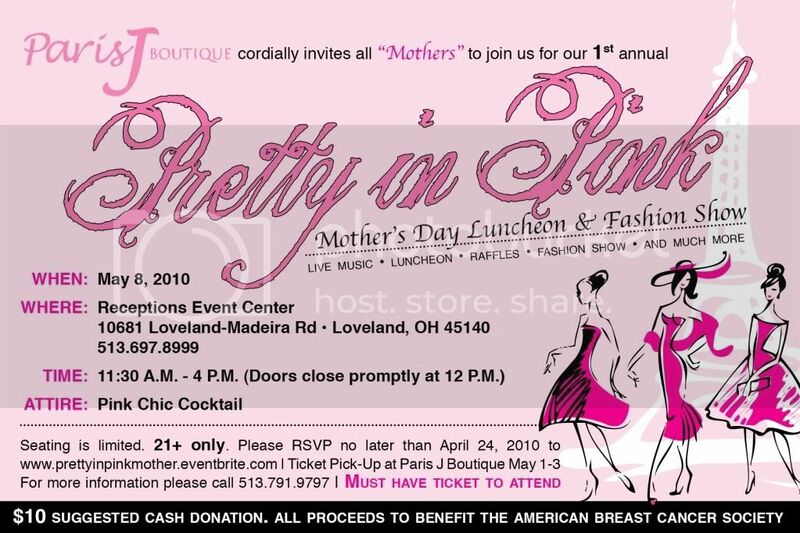 I just found out about this “Pretty in Pink” event that Paris J Boutique is putting together. I really love Paris J, and the shop’s owner Teresa. We worked together in November for our Seasonably Chic Showcase. 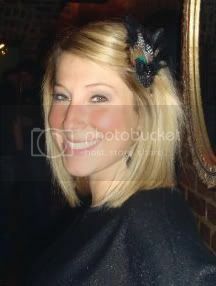 Click here to check out the pics of the clothes she had in that fashion show. Really unique, fashion forward stuff – but still very wearable. UPDATE: Teresa the owner just contacted me and asked if I could share this info: the event is FREE and also it’s for Breast Cancer Awareness! Morning Dash Sale at Alligator Purse Today! I just caught wind that Alligator Purse is having a super sale this morning. They’re calling it a “morning dash” sale and it’s only from 8-10am this morning. So, sneak in before work … blame it on the traffic… dog… your kids… whatever you have to do! : ) Alligator Purse doesn’t have store-wide sales like this often! Here’s the email I received with all the info! Happy Dashing! 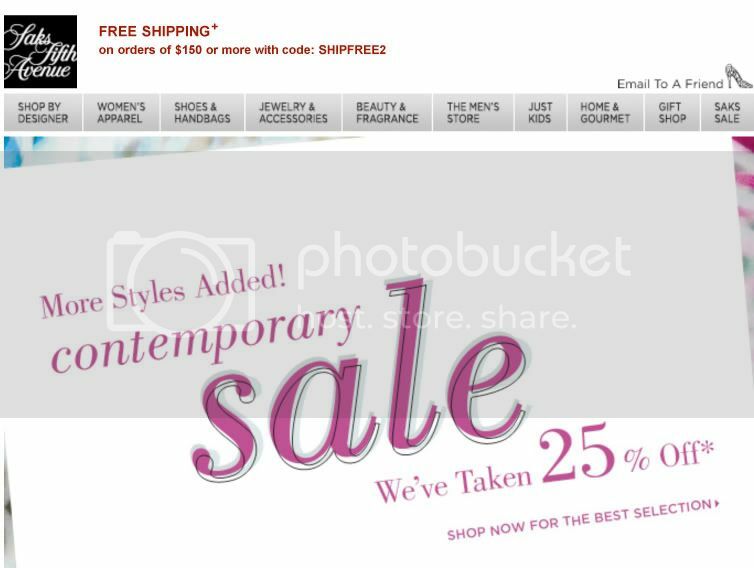 Alligator Purse invites you to a “Morning Dash Sale,” just in time for your Spring getaway! Rise and shine to join us in store Wednesday, March 31st from 8:00am to 10:00am only for 15% off your entire purchase! 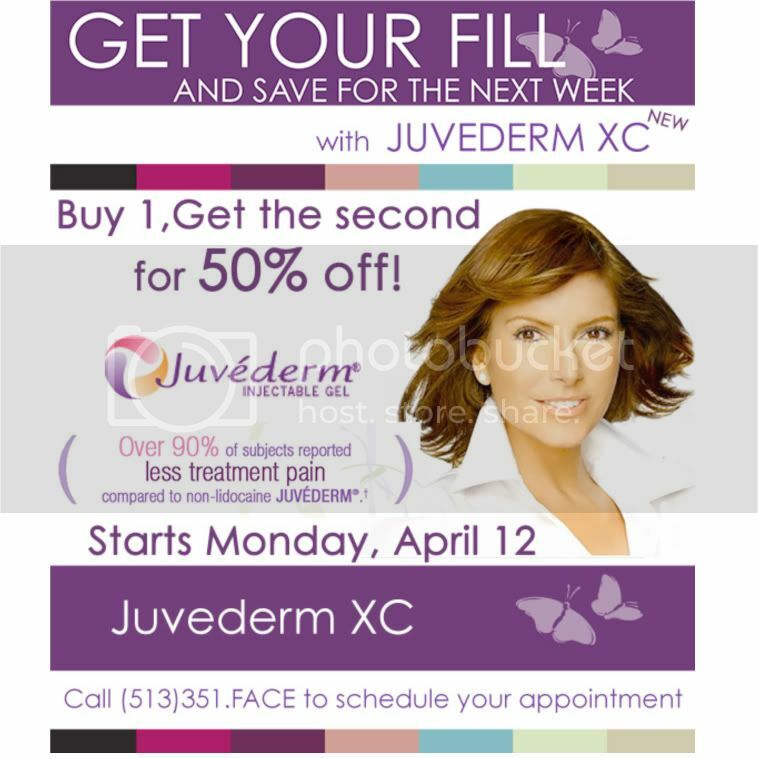 *Additional discounts and previous purchases excluded. The other day my hubby, the in-laws and I went to dinner at Teller’s in Hyde Park. We got an after-dinner coffee at Awakenings right down the block. On the way there, we passed Snap Boutique and they had the most adorable outfits in the window. They were closed, but I did go online and “friend” them on Facebook and Twitter. We’ve written about them before in Cincy Chic, but I thought (for some reason) they were a teeny-bopper boutique and not for me. But after window shopping, I decided they were right up my alley, and I needed to stay up to date on all their new arrivals and sales! Flock to Flocktails & Cocktails Tonight! We found her on Facebook and she sells her items on Etsy. 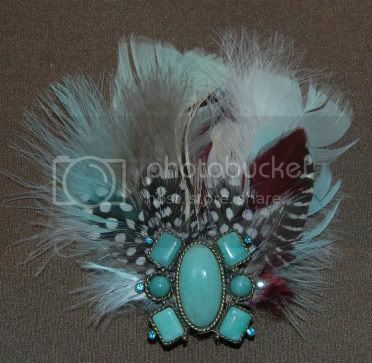 They are super cute feather hair clips, which as I just mentioned in my Spring trend forecast blog, are very on-trend. On the Flocktail Facebook page, they have pics of local ladies wearing the Flocktails out and about, and lots of the girls on there have short hair. 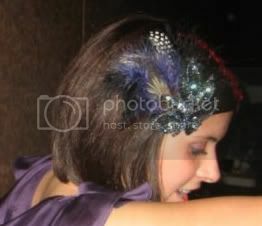 These little bits of feathery flare look perfect with a short bob haircut! We are having them at tonight’s ladies night at the Wise Owl Wine Bar in West Chester (which, by the way, my cousin is part owner of!). I can’t wait to see them there in person and maybe make some purchases! Oh, and my favorite mixologist Molly Wellmann will be there mixing up her couture cocktails. Sounds like I have a night full of fun cocktails and flocktails ahead of me! Hope to see you there!